Ibis Hotels, the famous European hotels brand, has recently extended its activity to the Middle East and has opened the new and modern Ibis Jerusalem Hotel. A fresh and contemporary interior design, artistic wall decorations and vibrant colors will welcome you as you enter the hotel’s lobby. Ibis Jerusalem Hotels believes that a vacation should be pleasant, relaxing, and more importantly, carefree. That is why, this new hotel offers its guests soundproof rooms with large and beautiful blackout curtains and extremely comfortable beds that will ensure you get all the sleep you need. The hotel also offers a variety of amenities, such as parking, free Wi-Fi, internet hotspots in the lobby, adaptors, and more. Take advantage of the hotel’s perfect location to enjoy the City Center of Jerusalem – the city’s most lively and vibrant part. 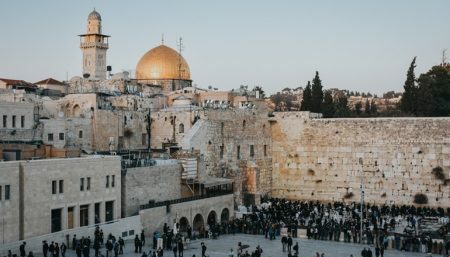 Located at Zion Square, Ibis Jerusalem is at a walking distance from the Old City, Tower of David, Ben Yehuda Street, Ticho House, Friends of Zion museum, the Music Museum and the top restaurants, galleries and pubs in Jerusalem. With a 24/7 restaurant, a 24/7 lobby bar and a light meals menu served all day long, Ibis Jerusalem hotel takes its food seriously. The hotel’s breakfasts start at 4 am and last until noon. The breakfast includes a rich buffet, hot and cold beverages, fruit juice, pies, and pastries. Are you meeting your friends for a few drinks? The hotel’s lobby bar will be more than happy to serve you and your friends, regardless of the hour. If you’re feeling like getting a snack or simply want to order room service, check out the hotel’s special light meals menu and enjoy a healthy cold meal. The hotel’s restaurant is dairy kosher and available at all hours of the day. You can plan an event for the whole family at Ibis Hotel (up to 100 guests), with kosher catering services on fish basis. Stay at the new Ibis Styles hotel at the Ben Yehuda pedestrian mall! The location in the very center of the city, 100m from Jaffa street, a tram stop from the City Hall and about a kilometer from the Jaffa Gate is one of the basic advantages of the Ibis hotel (we are not taking about Ibis Styles that was opened just two weeks ago and is located 300 meters away). The convenient location means that in a few minutes we can reach the old part of the city as well as the main railway station (3 tram stops). The Ibis Center Hotel is a new hotel (opened at the end of last year) and you can notice that fact both in the hotel's common areas and the rooms themselves. The twin room in size does not differ significantly from the standards of the Ibis. What makes Hotel Ibis Center Jerusalem stand out is the room's equipment, which is not standard for the Ibis: kettle, coffee, tea, bottled water, safe, soft carpet on the floor, better linen. Of course, the room is air-conditioned, but during our stay, the air condition was centrally set for heating, so we had to use the tilted window to slightly lower the temperature in the room for a comfortable sleep. Probably in the summer, when the air condition is set for cooling, there is no need to open the windows. With a window open, a cafe located on the ground floor (not belonging to the hotel) can be a problem. From the outside speakers of the cafe there is quite loud music, which might be probably pleasant for an hour over coffee, but can be boring and irritating for a few hours once listening to it in the room and trying to fall asleep. On the second evening we noticed that the repertoire is exactly the same as the evening before (our room was on the 4th floor). That's why we asked to change the room from the other side of the building. We did not have a problem with that, of course we waited less than an hour for the reception to organize our move. Although we received a room on the lower floor (third), here only the natural sounds of the city came through the open window and it was fine for us. Breakfast at the Ibis is available from 06.30 to 10. Due to the tight program of our stay, we started breakfast before 7 am each day. The first time we found a large organized group (dozens of people) that came before us. This meant that we spent in the restaurant more time than we planned (e.g. queuing for coffee). This should be taken into account when planning all journeys to and from Jerusalem. Breakfast certainly exceeded the standard that we expected in regular Ibis, in terms of choice, quantity and quality of dishes (hot and cold). This is a big advantage of this hotel. Both check-in and check-out proceeded quickly, efficiently and nicely. We did not use the hotel restaurant or the hotel bar except for breakfast. Wifi worked efficiently in the room as well as in the entire hotel. We can recommend Ibis Center Jerusalem as a reasonable choice taking into account location, comfort and price. This is property is in a great location; thou can walk to a lot of the sites to see. It's closer to a lot of shopping restaurants, and the tram. Service was pretty good. The room was clean, the bed was comfortable. The bathroom was sufficient, soap and shampoo was all in one in a dispenser. Toilet paper was basic. Breakfast had a great selection, tasty too. The coffee was not good, it wasnt tasty. There's no convenient parking I'd you are planning to rent a car. Overall positive experience. Elegant and spacious guest rooms. Suitable for singles or couples. The rooms offer double beds or 2 Twin beds (guest’s choice). Located on the 6th and 7th floors in the hotel, these modern guest rooms offer absolutely breathtaking views of Jerusalem. The rooms can accommodate up to 2 guests and guest can choose between a double bed and 2 Twin beds. Triple guest rooms can accommodate up to 3 people. Perfect for families, couple+child, or a group of friends. The rooms are equipped with a pull out sofa bed.